Founder of Co-IRIS (International Relations and Islamic Studies Research Cohort) and PHISO (Philippine International Studies Organization). Grace Ann Marinelle Opeña is a student taking up International Studies at Far Eastern University. She is a consistent Academic Scholar and a member of the Oratorical and Debate Council. 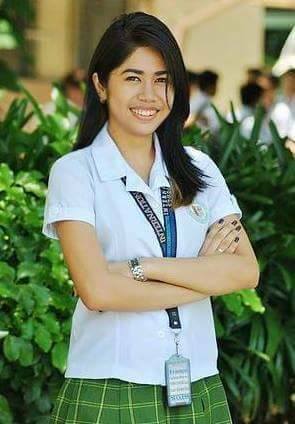 She was one of the representatives of the University at the Philippine Inter-Collegiate Debating Championship held last summer at the University of the Philippines Diliman. She is also the executive attaché for Publication and Documentation of the International Studies Society in her school. She joined various activities such as Model United Nations and Project for Asian and International Relations Panel Discussion. Grace takes great interest on studying topics related to the MENA region. In fact, she started her first day in FEU carrying a book about terrorism in Middle East which is not even related to anything they are studying by that time. She’s also interested in war strategies and tactics and how these are deployed in the past. She improves her writing and analytical skills by writing articles for the organization where she belongs and by working on online writing jobs. Now, she’s to finish her undergraduate thesis about the connection of war and ecology as well as the issues intertwining the two. After graduating, she plans to pursue a master’s degree on global studies abroad. Nazir Marohombsar Adiong (20 August 1957 to 29 January 2012) We miss you so much, dad! Please go to https://nassef.info/ for updated works of Dr Nassef. Constructed by Nassef Manabilang Adiong. Simple theme. Theme images by simonox. Powered by Blogger.